GUARANTEED to Soothe Sensitive Skin and Help Baby Sleep or Your Money Back! 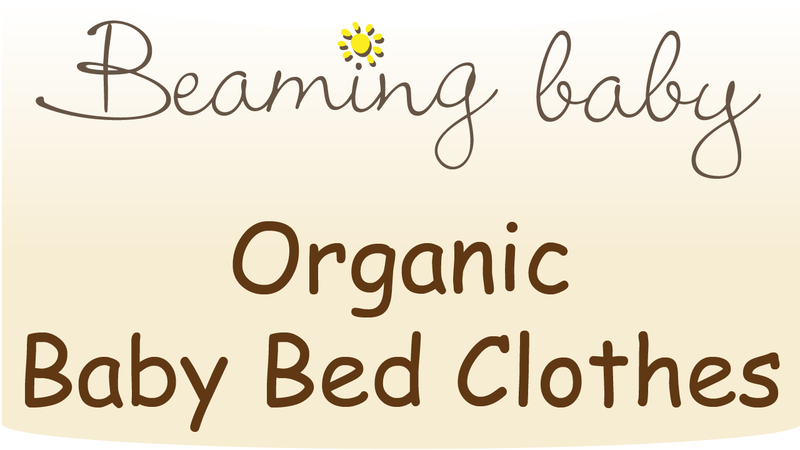 We GUARANTEE Beaming Baby Organic Baby Sheets will Help Your Baby to enjoy a Peaceful Sleep or Your Money Back! The Beaming Baby Organic Cotton Fitted Cot Sheet creates the most Natural Sleeping Environment possible for Your Precious Newborn Baby. An elasticated gather for a safe, snug fit. HOW IS THIS ORGANIC COTTON BABY BLANKET HEALTHIER FOR MY BABY? Most babies suffer from scratchy skin, Eczema and other Sensitive Skin Problems in their first three years of life. In fact a recent study has shown that in the UK, babies suffer from these problems for 1 week in every month on average. Many of these problems can be easily solved by avoiding the harsh chemicals found in Standard Baby Fabrics. By buying Beaming Baby 100% ORGANIC COTTON YOU are taking a big step towards giving YOUR BABY the HEALTHIEST start to life! This Beaming Baby 100% ORGANIC Cotton Baby Sheet is made from Stretchy and Flexible Organic Cotton and contains NONE of the harsh chemicals found in standard big brand baby fabrics. There are NO nasty chemicals or pesticides involved in producing our Sheets so there is NOTHING in the fabric to irritate Your Little One's skin. HEALTHIER for your baby and SOFTER and KINDER to Your Baby’s Skin! GOTS Certified (see our Eco-Friendly Tab). Our 100% ORGANIC Cotton Baby Sheets are IDEAL for babies with Eczema and Sensitive Skin. A NURSERY ESSENTIAL for a GENTLE NIGHT's SLEEP! And CHEMICAL-FREE to give YOUR BABY the HEALTHIEST start to life! Standard Cotton uses more chemicals than any other crop in the world! BEAMING BABY COTTON is GOTS CERTIFIED! By choosing Beaming Baby Certified Organic Cotton, you are supporting farms that use NO HARSH CHEMICALS when growing cotton, and our factory that uses NO HARSH CHEMICALS when producing the fabric. Meaning a HEALTHIER and HAPPIER life for the farmers, the employees and most importantly, Your Baby. These EXCELLENT Standards HELP to keep our planet BEAUTIFUL for our Children too! Stretchy and flexible, fitted sheets are easy and practical. Discover the Secret to a Good Night's Sleep for You and Your Baby, watch this 3 minute Video!